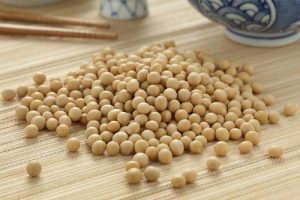 • Unlike other soymilk makers, Soyabella does not have an exposed heating coil, but instead features a safely hidden heating element inside its stainless steel boiling chamber. Soyabella’s advanced safety features also prevent overflows, dry heating, and overheating for safe and reliable operation. 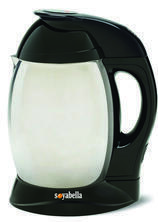 • Soyabella’s sleek figure and contemporary design also look stunning in any kitchen. 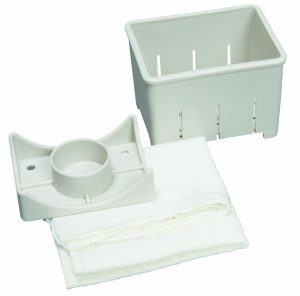 It is also compact and features a space-saving design so it doesn’t waste valuable kitchen real estate. 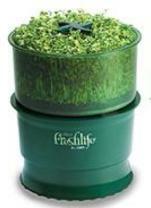 Grow your own sprouts right in your own home with the Tribest Freshlife 3000 Automatic Sprouter. 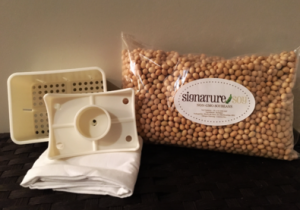 Just plug the machine in, switch on, add seeds, and in 5 to 8 days you’ll be enjoying your fresh organically grown sprouts, without the use of soil, chemicals, or special lighting. 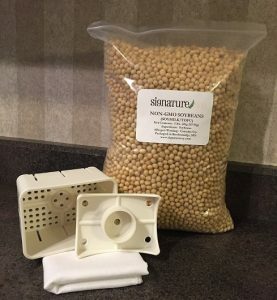 A convenient tofu press that helps turn your fresh soymilk into nutritious tofu!